Looking for a new event idea? It’s not the first time that I’ve gotten that question. Most everyone asking wants to know because they are praying for us. So many of you care about our family. God bless you! But, I also know that it’s human nature for us to want to fill in the blanks when the lines on the page are empty. 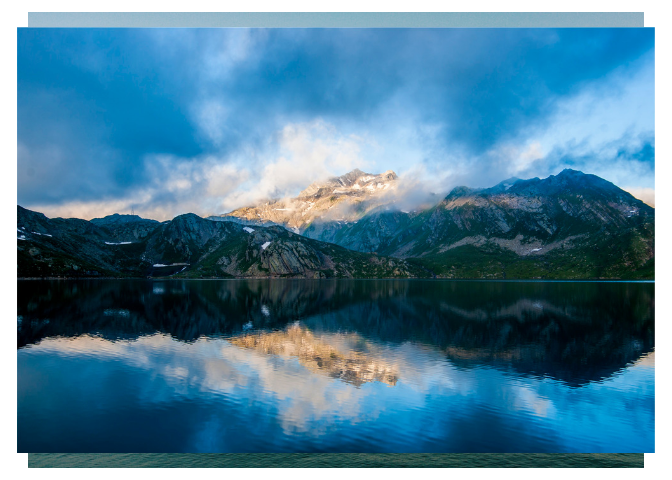 Perhaps you’ve heard Aristotle’s classic quote: “Nature abhors a vacuum.” In other words, our world hates the unknown and we’ll fill in any answer just to make sure there is an answer, even if it’s wrong. Uncertainty makes us uncomfortable because without answers, we’re not sure if we’re going to be okay. It’s tempting for us to believe that God doesn’t care. Seriously God, do you know see my life dangling over this cliff? Are YOU gonna fix this or what?! The control freak in me loves to rebel against uncertainty. In years past I’d do everything in my power, including trying to force solutions to fill in the blanks of uncertainty. 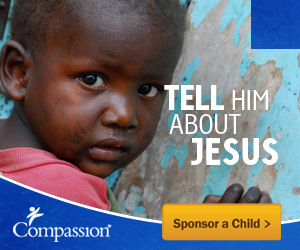 I used to rationalize that I was helping God out. Like God actually needed my help. What I really wanted was peace. I thought that fixing people or situations would give me the peace that I was looking for. More often than not, my attempts would result in more pain, not peace. Friends, we should be careful speculating about what God will and won’t do beyond the promises He has already made to us. We can trust this truth: God is always at work whether we can see it or not. But, we cannot know what God is working out behind the scenes and within people’s hearts. Can God heal someone of cancer? Of course! Does He heal everyone? No. Just the same, God can provide jobs and double incomes, but He also allows long-term unemployment, too. God IS the God of miracles! I’ve seen it and you probably have, too. And then God also allows heartache. I’ve experienced it and you have, too. The reality is that there are things that God only knows and we don’t need to carry the weight of trying to figure the future out. However, God has given us the responsiblity and accountablilty of trusting Him. That’s why I love God’s instructions to Joshua as the new leader of God’s people faced uncertainty at the entrance of the Promised Land. While God is working out His purpose in our lives, He gives us directions to follow Him while He is working. Trusting God in uncertain times doesn’t mean that we sit around and do nothing. Instead of operating on our own agenda, we obey God’s instructions. God knows that when we assume accountability for what we can’t control, we will end up stressed out and out of control. While we think that knowing everything that God knows will relieve the stress of uncertainty in our lives, that’s actually not the case. Think about how complex your life is today. 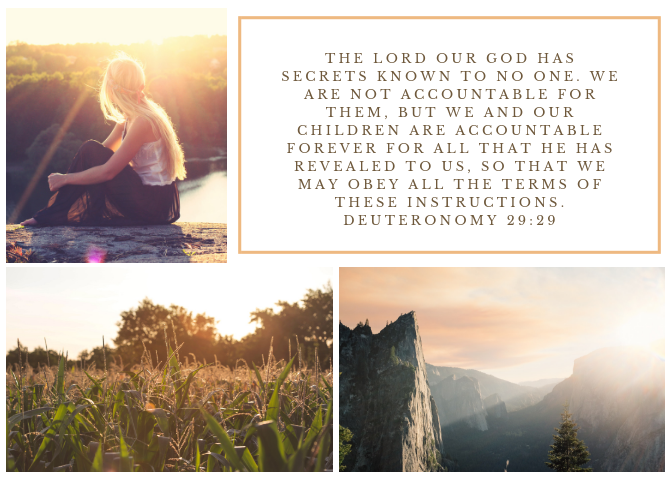 Now, imagine God sent you an email telling you about all of the job changes, babies born, health issues, exciting summer trips, and goodbyes of the next ten years. The stress of all of that information would be too much bear, wouldn’t it? God protects me with what He doesn’t tell me as much as He blesses me with what He does reveal. I don’t want to be responsible for everything that God knows. God has given me the knowledge and information that I can handle right now. It feels good to say that and actually find peace in it and know that I’ve surrendered control. God’s promises are far greater than whatever we’re facing today. As we walk the messy middle of uncertainty by keeping our eyes on God, we actually get stronger! If uncertainty is causing you a great deal of stress today, stop in this moment and take a deep breath. God is with you and for you in every circumstance. Uncertainty is tough. But you can take a first step to letting go of trying to figure things out. Can you start with believing just a little that God has only given you the knowledge and resources that you can handle right now? Just believe that a little bit. Whatever you are missing in your life is where God will fill in the blanks in His time. You can be certain that as you trust Him, He will take care of you every step of the way. 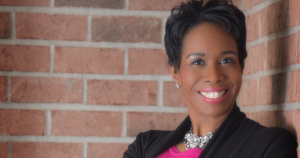 Barb Roose is a popular speaker and author who is passionate about equipping women to win at life with Christ-empowered strength and dignity. Barb loves speaking at women's conference and leadership events such as the Aspire Women's Events, She Speaks Conference and the UMC Leadership Institute. 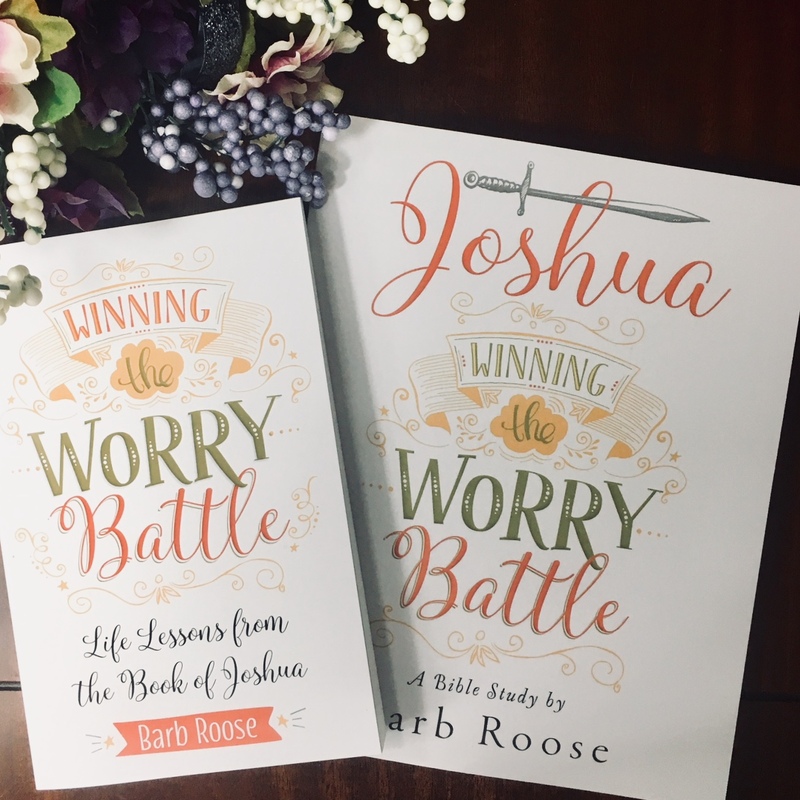 Barb is the author of multiple books and Bible studies, including her newest releases: Winning the Worry Battle: Life Lessons from the Book of Joshua and Bible study called Joshua: Winning the Worry Battle. Barb's writing has been featured in magazines or blogs such as Simple Truth Magazine, More to Life Magazine, Just Between Us Magazine, Cherished, InCourage and Women of Faith. An avid traveler, reader, and lover of all things chocolate-peanut butter, Barb and her family live in NW Ohio with their dog, Quimby and a very grumpy 10-year rabbit. Visit Barb's online home at barbroose.com. Check out Barb’s newest book and Bible study! You can release a child from poverty in Jesus’ name! Barb Roose will use the information you provide on this form to be in touch with you and to provide you with updates and marketing content about her life, ministry updates, speaking engagements, blog and podcast. You can change your mind at any time by clicking here to unsubscribe or by emailing barb@barbroose.com.